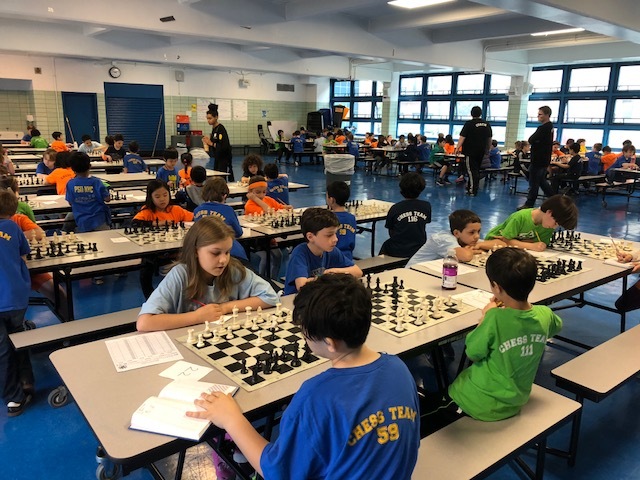 The May Team Invitational provided ICN players and teams a final prep opportunity before many of us head to Nashville for the United States Elementary Championships. The play was hard fought across all 4 sections as the level of play continues to rise. Teams representing PS 33, PS 116, PS 59, PS 11, PS 111 and PS 281 competed in a perfect combination of both a supportive and competitive environment. It was exciting to witness new players engaging in their first ever rated event, while our National Championship competitions battled fiercely throughout the entire day.